With a vast array of new social media networks coming up, it is becoming difficult to distribute your time and resources among them. As we have moved into 2015, it is important that social business entrepreneurs have knowledge of the top 10 social media marketing trends that will help them to reach out to their customers living across the globe. A new social media platform, Ello was designed to give a tough competition to the social media giant, Facebook. This platform is still in beta which means that it has the invite-only option, nevertheless, it offers an ad-free experience to the users. However, it still remains to be determined whether the hype around this platform is because it is positioned against the Facebook or whether the design and functionality of this social media can really become a competitor for Facebook. Well, this social media network is bound to grow in terms of customers number and engagement and will benefit new entrepreneurs in the long run. With Twitter offering increased choices and flexibility to business owners in terms of what they pay for advertising, start-ups and medium-sized businesses will jump on to this advertising bandwagon to attract their potential customers. The objective based campaigns will help the business owners to engage their customers. Entrepreneurs can increase their leads by website clicks, increasing new followers, tweet engagement. Such campaign would benefit small business entrepreneurs as they will pay for the results and not just to increase the visibility of their brand. With the upcoming of different social media platforms, the Facebook post reach has decreased significantly. This has come up as a major issue for entrepreneurs who have been using this social media network for advertising purposes. Facebook has limit the number of posts that your potential audience can see and thus the demand for promoted ads and posts continue to rise. With the increased demand, increased pricing will also be seen. The trend of increased ad pricing is here to stay as the organic post reach continues to fall. Content is the king in the field of SEO and content marketing is regarded as the backbone of a digital marketing campaign. Content marketing also plays an important role in social media because it gives you a way to express yourself to your customers. By effectively distributing the content through various channels, you can easily target your audience and generate their interest in your services. The social network is an effective content distribution system that forms an important aspect of digital marketing. Video content help the audience to connect with your services visually and thus it can help small business entrepreneurs to engage them better and evoke a positive response. According to a survey, it was found that video content helps in increasing the engagement rates by 4.2%, which is a big number, according to digital marketers. Consider a situation when you are walking around and you suddenly heard an announcement, you go home and use the search engine to find out more about the company or its services. This is the impact of audio social media marketing. Audiovisual marketing can help small business entrepreneurs to reach out to a large base of customers. With the increasing demand of smartphones, people have started to access or browse the internet through large screened phones. Therefore, focusing on the mobile gadgets is important to target your customers easily. 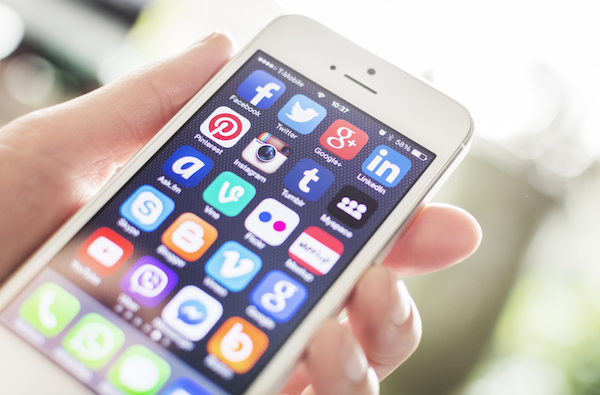 As a small business entrepreneurs, you should focus on mobile optimized social media. If you want to get in front of your customers and want to remain ahead of the curve, make sure that you use different social media platforms such as Twitter, Facebook, Flickr, or Ask.fm to expand your digital marketing efforts. With the increasing popularity of different social media networks, businesses need to come with bigger and unique content that will never get old. Therefore, the main focus of the experts should be on mastering the art of creating attractive and clickable content. Entrepreneurs should use their creativity in a practical manner and can even add photographs in their social media posts. There is no limit on how much information you can share in the dot-com world as more and more content always keep pouring in. So make sure that you integrate our writing skills with your entrepreneurial skills for maximum profit. Google+ do not provide any new feature and it is not coming up with any updates, therefore, it is experiencing a downfall. This social media marketing platform is fast descending into obscurity as nobody is really interested in advertising their services on it. Google+ has been left behind by out social media networks such as Facebook, Twitter, Instagram and Tumblr, so make sure that you do not advertise your services on this. If you are someone who likes to advertise their services with images, Instagram would be the right platform. It is not showing any sign of slowing down and has emerged as the most preferred network to share images. Researchers have confirmed that 42% of the digital marketers have opted for this platform this year and the number will only increase in the time to come. With the new feature of Instagram’s in-feed video advertising, entrepreneurs can easily target their customers based on gender, age and country. This new feature has been welcomed by marketers as now they can easily advertise their services to young, affluent user base. Whether you are a blogger or an entrepreneur, everybody wants their content to go viral. Your website should have interesting, shareable and original content to target your specific audience. If you are a part of a narrow industry that specialized in a single field, garnering the attention of right customers is important for your company. However, if your content is unable to get thousands of likes, retweets or shares, it does not mean that it fails to serve its purpose. What’s more important than getting shares and likes is that it should reach out to the right audience. These top 10 social media marketing trends will help new entrepreneurs to convert their business into a credible brand. Do not indulge in the same practices that you followed last year, rather choose to make a difference to your marketing strategies and do something unique and innovative. Rethink about your strategies and make some interesting changes that will help you to increase the success of your business in the years to come.